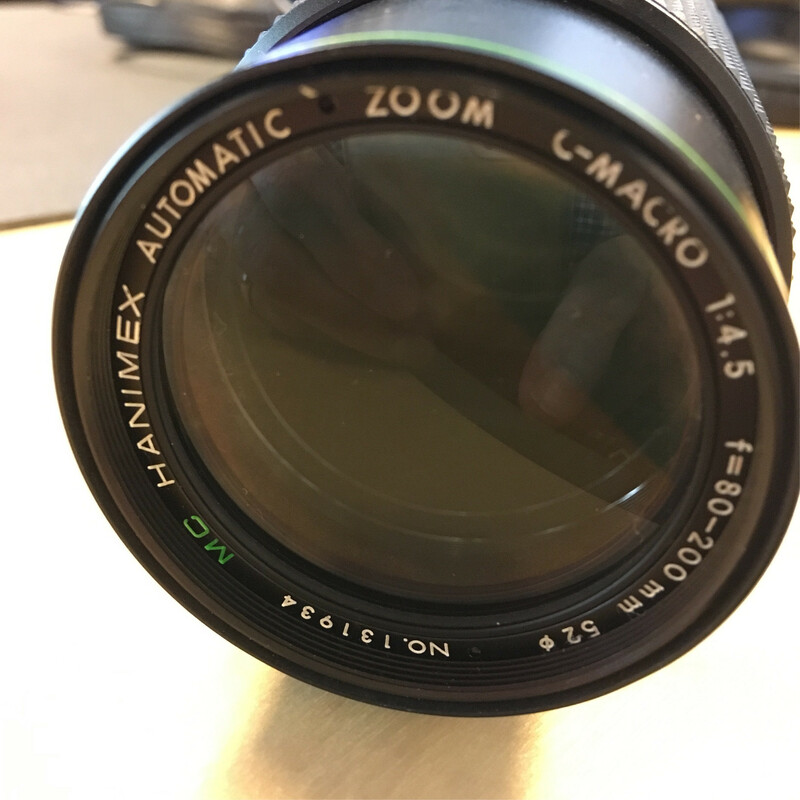 What mount system is this Hanimex zoom lens? 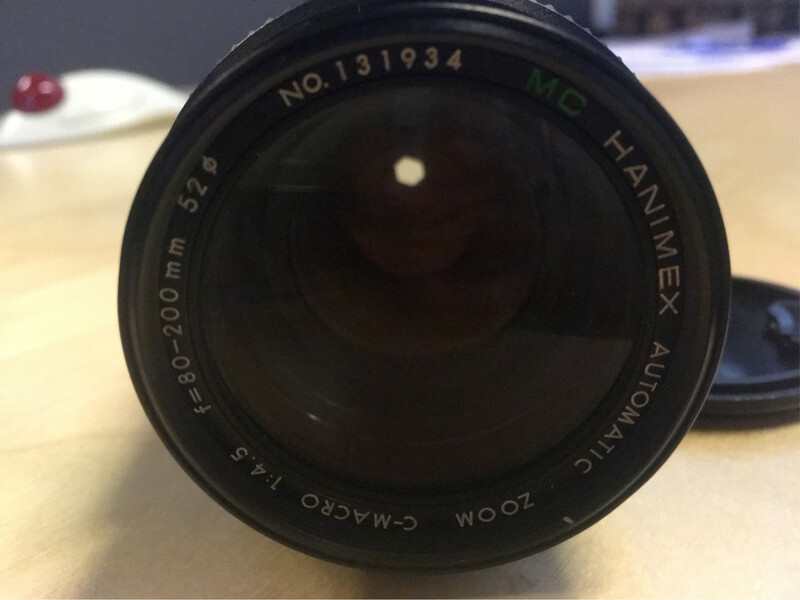 This lens was manufactured in the Canon FD (and new FD), Nikon F, Minolta M/MD, Pentax K, Fujika FX, CONTAX/Yashica (C/Y or Y/C), Konica AR, Olympus OM, and M42 mounts. Your lens is not any of those. It is not the Sigma SA, Contaflex, Exacta , Praktica PB, Praktina, Icarex, Ricoh XR, Leica M, or Leica R mount. It appears to have been modified at some point to be compatible with a changeable mount system like the Tamron Adaptall or T4-TX system. But it isn't either one of those systems, either. The Arri PL mount for cinema cameras looks similar, but isn't a match. The lens appears to be intended for use with a 35mm SLR body. This is consistent with @MichaelClark's description of the mounts for which this lens was produced. 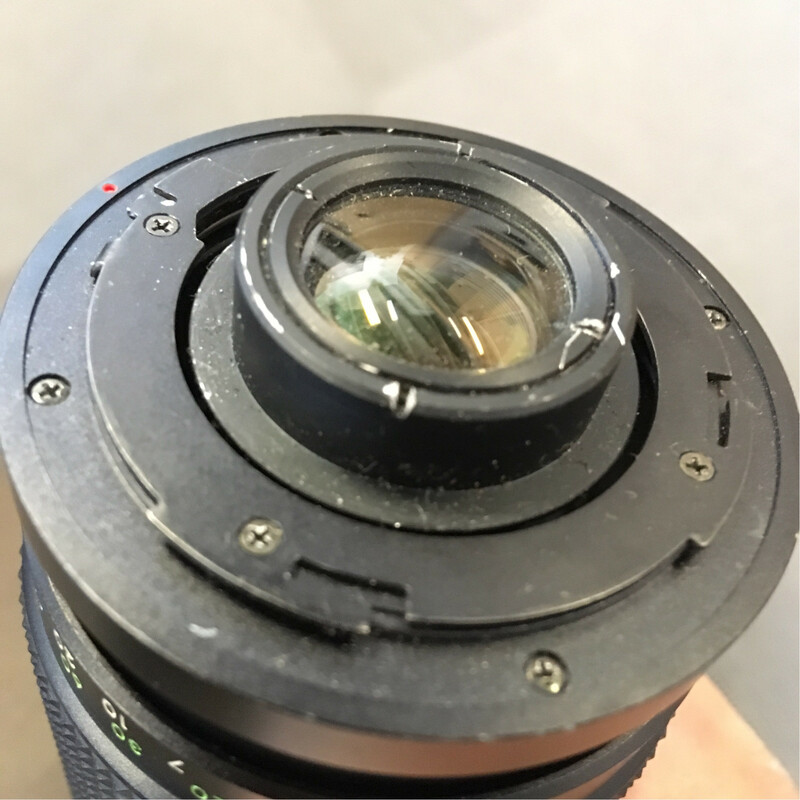 If this lens were to be connected to camera body, as is, the deeply recessed rear element would break the mirror. I cannot find a mount that uses hook/claw shaped tabs. (Doesn't mean one doesn't exist.) However, this shape is commonly used to connect components internally. You may be able to confirm the above if you can obtain and disassemble another copy of the lens in a different mount. 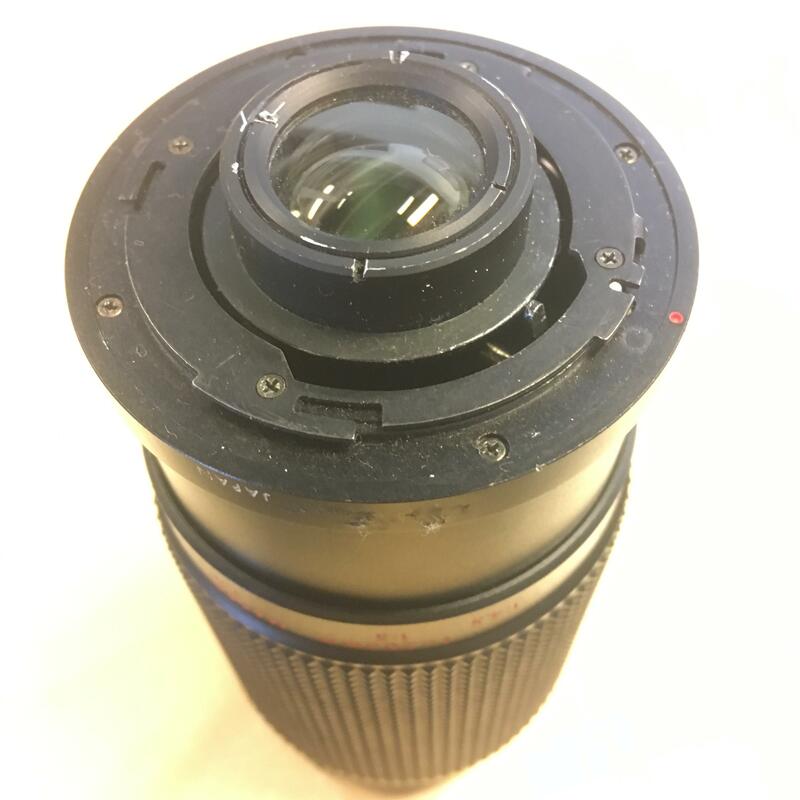 Photos of the body/side of the lens, clearly showing the focus and aperture rings, along with measurements of the diameter and length of different parts of the "mount", along with measurement of the "flange-focal distance" may be helpful. Not the answer you're looking for? 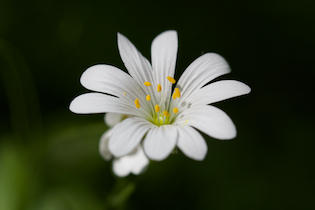 Browse other questions tagged lens-mount equipment-identification or ask your own question. 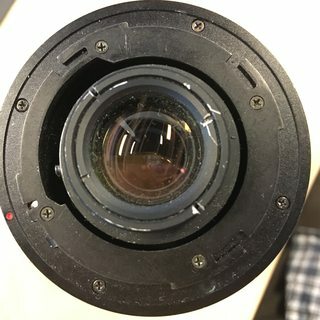 Which adapter do I need to mount a vintage Marexar-CX Lens to Nikon D3100? What lens and mount is this Sigma lens for Canon? What camera fits this a Osawa MC 1:4.5 f=80~205mm lens?